By hungry runner on March 12th, 2012 . Filed under: Gifts, Home Decor . 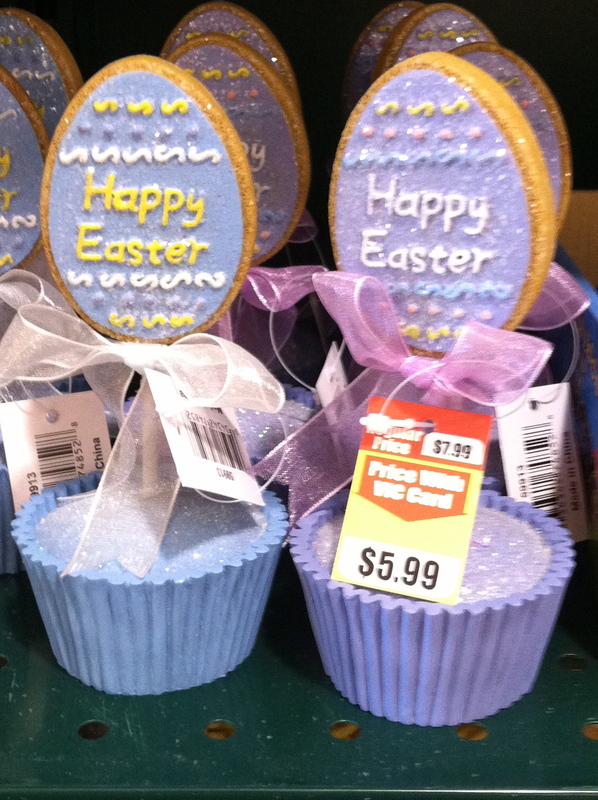 Over the weekend I looked at the Easter items at Harris Teeter, the local grocery store. I spotted these purple and blue decoration cupcakes for $5.99. Does your grocery store have any fun cupcake items for Easter?